Thank you for supporting FitW and providing us feedback on both the product as well as our investment round. We're pleased that you’re accompanying us down this path and have already invested around € 26,500 in our innovative health and fitness die! And we've got other irons in the fire besides our campaign on Companisto: Two weeks after having begun our equity-based crowdfunding campaign, we added Gigasport to the FitW's list of clients. As one of the largest retailers for sporting goods in Austria, Gigasport has added the fitness die to its line of products and has ordered 40 units from our wholesaler, Spartan. Plans for additional orders have already been made. 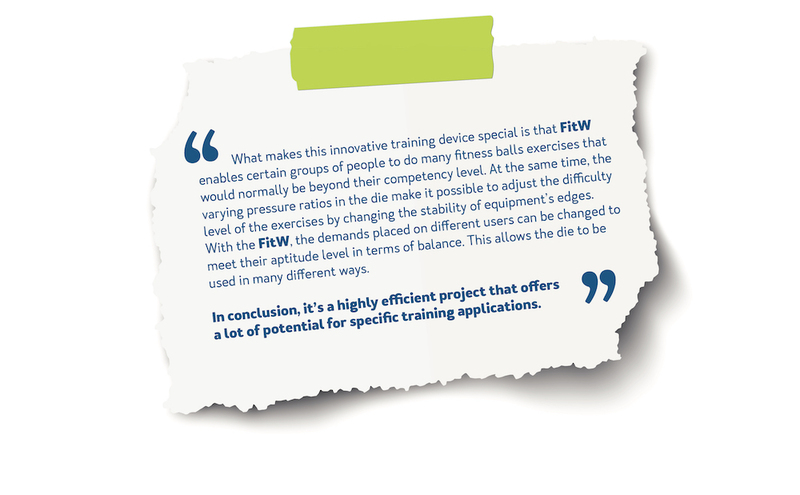 A training course for the sales staff by the FitW inventor and founder, Rudolf Gotsmi, will be carried out in the coming weeks. Perspective customers need to be able to touch and test the FitW before they can be convinced to make a purchase. As previously mentioned, Rudolf Gotsmi will be featured in an episode of the program "2 Minuten, 2 Millionen" by the Austrian broadcaster Puls 4. Here, he will appear in front of a jury of investors together with the FitW. At the start of the new season, the broadcaster will introduce its own, exclusive online shop through which viewers can then purchase products displayed on the program. Puls 4 has already ordered 140 FitW units. An additional customer is the company, Kerkoc, an Austrian producer of medical products, which has ordered 12 units. Our direct sales operations are also going well and we've already sold approximately 100 units. From Saturday until Monday, Rudolf Gotsmi was at the ISPO in Munich, the world's leading trade fair for sporting goods. Here he had many promising conversations with potential business partners. We'll be keeping you up to date on the latest developments. Over the last few days, many Companists have been asking us which qualities the FitW has. We're proud to publish the results from an independently conducted expert assessment by the REST – KG (Research and Engineering in Sports Equipment Technology). Our partnership with the Vienna Vikings, one of Europe's most successful soccer teams, is beginning on February 2. For this collaboration, the FitW will be used for professional training exercises and will also be made available in the children's section at every game as soon as the season begins. We look forward to hearing back from you. You can currently find all the current information on our website or our Facebook page!